The Book of Mormon, an account of what happened on the American Continents during the time of the Bible, is another testament of Jesus Christ. Within its books, the doctrine and teachings of Jesus Christ are reiterated and expounded on. The Church of Jesus Christ of Latter-day Saints, sometimes mistakenly called the “Mormons Church,” believe the Book of Mormon to be the word of God in addition to the Bible. One of the many truths that the ancient prophet Nephi reflects on in the book of 2 Nephi is the power of the Holy Ghost. 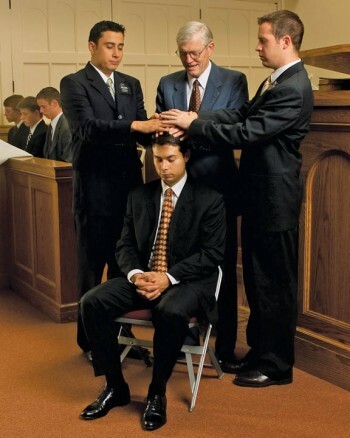 After baptism we can receive the gift of the Holy Ghost by the power of the Priesthood. The Holy Ghost is a member of the Godhead, sometimes referred to as the Comforter, Light of Christ, Holy Spirit, Spirit of the Lord, and Still Small Voice. These are not only alternate names for the Holy Ghost, but describe the role and purpose of this Spirit. In the second book of scripture in the Book of Mormon, 2 Nephi, the ancient prophet Nephi leaves his last words with us in chapter 33. Nephi chooses to begin his farewell by humbly revealing that he is not as confident in his writing as in his speech be cause the Holy Ghost can testify or bare witness of truth. In 2 Nephi chapter 33 verse 1 reads, “And now I, Nephi, cannot write all the things which are taught among my people; neither am I mighty in writing, like unto speaking; for when a man speaketh by the power of the Holy Ghost the power of the Holy Ghost carrieth it unto the hearts of the children of men.” In this verse of scripture, the use of the word “unto” is key to understanding the role of the Holy Ghost. The Spirit does not force us to believe anything. We still have our agency, the ability to choose between right and wrong, but the Holy Ghost simply informs us of what is right and true, bearing witness to the gospel of Jesus Christ. We alone have the power to bring the teachings and doctrines of Christ into our hearts, as the Spirit brings truth “unto” our hearts. I know that if there is anything that we are questioning or uncertain about, if we ask of God, we will receive an answer through the power of the Holy Ghost. The Holy Ghost has the ability to warn us of danger, alert us to opportunities, and testify of the truthfulness of Christ’s restored church, The Church of Jesus Christ of Latter-day Saints. With righteous desires and good intent, there is nothing that cannot be revealed unto us by the Spirit, that if we choose to accept has the power to change our lives forever. This article was written by Y. Lofthouse, a student at Brigham Young University and a member of The Church of Jesus Christ of Latter-day Saints.